When you start using Operion MailBlast. You get a lot of freedom on sending email newsletter and updates to your subscribers. But, with all these freedom, you need to take of some of the best email marketing practices for making the emails land in inbox of the subscribers, in order to get more opens and then clicks from email. Before we go deep into the email marketing best practices with Operion MailBlast. I must say, there are 2 most important part where a mailbox decide to mark a mail as spam or let it land into inbox the subscribers. First important part about this is, technical requirement, which is taken care from our end and another part is the content of emails which you will be sending after you get Operion MailBlast Production access. At Operion MailBlast, we prefer to enable following 3 most important records which are required for different purpose by email mailbox. By default we enable PTR on installation, SPF is added by Operion MailBlast dynamically, whereas, we ask you to enable DKIM, before you start sending emails from your Operion MailBlast. PTR, is reverse domain lookup for the ip, which is important to have in order to reduce spam. DKIM is signature, which you need to add to your custom domain name after Operion MailBlast verification. DKIM adds your own domain identity to your outgoing emails. SPF record is spam policy framework, which is added to outgoing email address automatically by Operion MailBlast. Note: Kindly ignore their suggestion on DMARC, SPF and ip list on SPAMCANIBAL. Email spam depend on many factors, like, subject, body, words used and so on, so many. Also, if some mail has landed in spam for you, it will land in spam for everyone, it’s not necessary. Its very much personalized experience of the mailbox of the email. 1. Avoid using any kind of spam trigger words in subject and email body. You can find The Ultimate List of Email SPAM Trigger Words. If you are using few or more of these words into subject and email body, then, the mailbox has high probability to mark your email as spam. So, its better to avoid using any of these words. According to the suggestion, improve your email subject and body. 2. Maintain proper text to image ratio. If your email body has a lot images, then try to maintain the ratio with adding relevant text below and above the main image. This gives signal to the mailbox that, the email you are sending to your subscriber is informative too. 3. Always maintain same version of text and html emails. 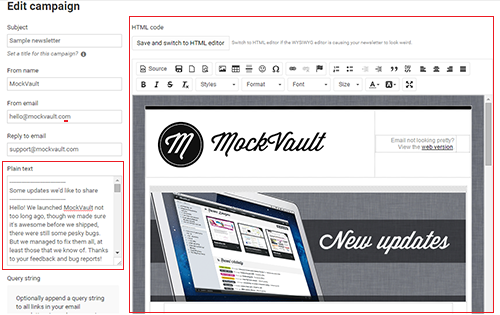 Inside Operion MailBlast you have WYSIWYG HTML email editor and plain text editor too, on left side. 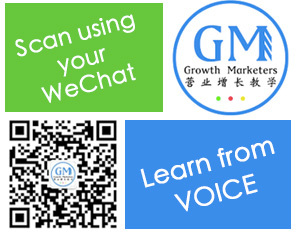 Here, the best practice is that, you must maintain the exact same version of HTML and text version, so, that the subscriber’s mailbox should not suspect and make it land in inbox. 4. Always add “Unsubscribe” and “Report Spam” links at bottom of email. This is very important for the email newsletters. 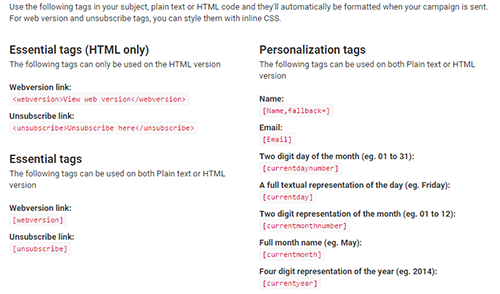 You can add the HTML link or tags according to the requirement to your footer. Steps to add these links are explained in this post How to Add Unsubscribe and Webversion Links to Emails in Operion MailBlast. Pro Trick: Make “Report Spam” link land on “unsubscribe” page. 5. Adding “pre header” and your physical address in “post footer”, this makes your email more reliable and trusted, in some countries you need to mention your postal address to your email campaign compulsorily. 6. Keep from-email and to-email same, this enables mailbox not to suspect your email and make them easy to understand that the email coming to their mailbox can be replied easily from the receiver. 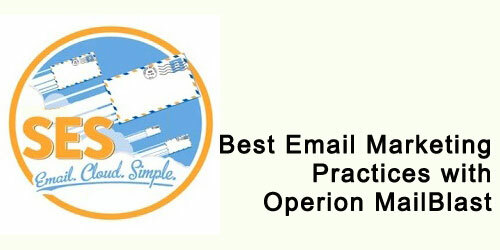 You can use email of the format “no-reply@opcdnmail.net”, as from and to email. 7. Setting up Mailbox for Operion MailBlast hosted domain, this is another good practice which you can enable. You should setup a mailbox for the domain name on which Operion MailBlast has been installed. Few mailbox also reverse lookup the MX record available on the subdomain. In our case, the mailbox will look at MX record of sub-domain emails.opcdnmail.com. A mailbox is used to receive any email sent on the configured mailbox domain. To configure mailbox on a domain name, you can use Google Apps, Zoho Mailbox or Yandex Mailbox, which is available for free of cost. For creating great email newsletters with convenience, you can refer our previous post, Free Drag and Drop Responsive Email Editor for Operion MailBlast. Sending text only emails have almost 10 times higher open rate! Moreover, I would suggest you to not make any decision about Spam emails based on 5-10 email samples. You should send email campaigns and check email open rates, for 2-5 weeks, this is how email marketing works for most of the top email marketers. Finally, if you still think your are not getting enough opens for your emails, then I would like to suggest you to use Mandrill with Operion MailBlast. Yes, we do also support Mandrill with our hosted version of Operion MailBlast.